For much of 2018, China's tariff wars with the US dominated media headlines. So far in 2019, investors are also witnessing increasing signs of a Chinese slowdown, and with it a new approach to economic stimulus by Chinese policymakers. 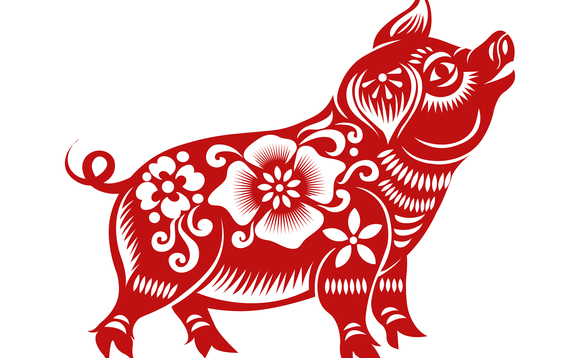 As a new Chinese year dawns, Jaisal Pastakia discusses what this means for global trade and investment. After China joined the World Trade Organisation (WTO) in 2001, its spending patterns began to shift as its leaders focused on building out infrastructure. The subsequent 2008 global financial crisis hit China's economic growth hard, but the government responded with a stimulus package which continued its infrastructure aspirations, drawing on both public and private resources to fund an unparalleled programme of urbanisation. This had the impact of growing Chinese ties with other emerging market economies, as China imported the commodities required to fuel its rapid growth. A few years later, in 2015, global economic growth was losing momentum once again. In the developed world, the US Federal Reserve had just begun to step back from its ultra-accommodative stance, while the Bank of Japan and European Central Bank were buying bonds to support their economies. In China, authorities responded decisively, with a $4trn stimulus package pushing domestic banks to lend to businesses, and encouraging those businesses in turn to invest. It is important to remember that both the banks and the businesses receiving these loans were largely state-owned (or state-influenced), and much of this liquidity injection was once more spent on infrastructure. This stimulus had a reflationary effect on the rest of the world - boosting trade and growth, and particularly aiding some of China's fellow emerging markets, again boosting key commodity producers. This served as a welcome lift to the wider global economy too, particularly benefitting industrial developed markets like Germany. However, another consequence of this government intervention was a significant increase in debt. The largest impact was not on consumers or households, but on businesses (corporate leverage). Over the last few years, corporate leverage has continued to rise. Fast forward to 2017, when a surprisingly strong growth reading for the Chinese economy (and indeed the global economy) landed alongside good data from the domestic property market. Together, this was positive news for both Chinese households and government revenues, and contributed to the government's decision that the time was right to tackle corporate leverage in the system, aiming to reduce risks to the economy. Indeed, this deleveraging programme took the form of a risk-mitigation approach, with targeted regulation including tighter controls on China's large asset management industry. More importantly, a harder line was taken towards the mammoth shadow banking sector, which typically operates beyond formal regulatory oversight (receiving higher fees from customers to boot). By late 2017, there were signs that the growth in ‘total social financing' (which includes both standard bank loans and shadow banking lending, as well as new stock market issuance) was slowing. As these efforts began to filter through into real economic data, China's previously stellar growth trajectory began to ease off. By curbing the suppliers of some corporate loans, authorities naturally made borrowing conditions tighter. Today, there are signs that China's overall ‘credit impulse' (an important measure of the change in new credit issued as a percentage of a country's economic output) has fallen - in the past, this has coincided with periods of economic contraction. New mortgage levels remain large, but are no longer growing. Indeed, the only form of loan demand still on the rise is for small- and medium-sized enterprises, and it is unclear whether this is a genuine pickup in overall demand, or simply businesses previously borrowing through the shadow banking system now being forced into the light. How are Chinese authorities tackling the slowdown? Facing slowing growth at home and globally, and with tariff wars with the US impacting the real economy, Chinese policymakers know they must act. With a reluctance to completely undo their deleveraging efforts, authorities have so far been drip feeding new stimulus with a focus on the domestic consumer. What has this entailed? The tried and tested infrastructure buildouts of the past appear to be losing their shine. Indeed, some ‘on the ground' evidence indicates that money raised by local authorities was not put to work last year, potentially pointing to a waning pipeline of investible infrastructure projects. Meanwhile, lower import tariffs may not yet be having the desired effect - recent data from General Motors and Volkswagen points to some of the worst data for new car sales in multiple decades, despite reduced auto tariffs. For the banking sector, the government has reduced the reserve levels required in order to issue new loans. In theory, this should increase the level of liquidity in the system, but in reality it merely replaces money which would otherwise have left the economy (as the banks in question largely already owed these sums to the central bank). Anecdotally, other measures do appear to have been introduced, including lower mortgage rates for first time buyers (a group potentially targeted due to minimal personal debt and a lower risk of property speculation). China also appears to be very slightly opening up to global companies, increasingly allowing international businesses to operate within in its borders, though often with many strings attached. What next for global trade and investment markets? Having been a substantial contributor to global growth, China's economic slowdown is increasingly noticeable, and gaining attention. Today, its authorities are looking for stability, not the ‘shock and awe' economic kick-starts of the past, so the degree and shape of stimulus will look markedly different this time around. The ultimate consequences - and for how long the effects will feed into economic activity - are as yet unknown. At the time of writing, trade tensions continue between the US and China. The US has scheduled an increase in tariffs on approximately $200bn of Chinese goods (raising this rate from 10% to 25%) from 2 March 2019. China, meanwhile, has so far applied reactionary tariffs to around $110bn of US goods. The effects of the trade dispute are now beginning to show up in official data in both economies, particularly in the manufacturing sectors. Talks between key US and Chinese officials are ongoing, but after months of false dawns in diplomatic efforts there are growing signs that both sides are responding to the increasing urgency of the situation. As it attempts to renegotiate this strained international relationship, China could change the shape of global trade in two ways. First, through its current stimulus approach, the producers of consumer goods will benefit more than commodity suppliers. Second, changing the terms of trade with the US could also impact China's other trading relationships. If, as has been suggested, China brings its trade surplus (balance of imports and exports) with the US to zero in the coming years, this could have a notable knock-on effect for other exporters. For example, if China chooses to import more agricultural goods from the US (where farmers have been hit hard by tariff disputes) to rebalance its trading relationship, it may import less from its Latin American peers. Meanwhile, investor sentiment on China is currently mixed. The onshore Chinese stock market was a meaningful laggard in 2018, underperforming Hong Kong and its global peers. Concerns over slowing growth and trade-related tensions saw money flow out of Chinese assets in the middle of the year, as confidence fell at home and abroad. There have also been early signs that Chinese companies may be trying to manage expectations (lower) in the latest round of quarterly corporate earnings, which cover the full year (2018). Against this backdrop, some investors believe that China's slowing economy indicates a rapid, ill-managed decline in growth, with a recent spate of weaker data (especially in the manufacturing sector) adding fuel to the fire. However, others (and we include ourselves in this group) believe that proactive policymakers can support and guide the economy into an era of slower - but still attractive - growth. In recent weeks, we have seen foreign investors returning to emerging markets, including China. Share price valuations have reached the appealing levels last seen around three years ago, thus longer-term opportunities may be emerging. Within our portfolios, we are exposed to some of the sectors most likely to benefit from structural change in consumer spending habits in China, including consumer discretionary (‘non-essential') goods and technology. Towards the end of 2018, taking advantage of prior weakness, we also introduced a position in the onshore Chinese stock market, which in the past has been boosted by proactive policy action and increased liquidity in the economy.